Hey everyone! Last summer, I spent six weeks doing research in Uganda with a professor from UVA. Another student and I received a grant from UVA's Center for Global Health which required us to have a driver. Noah quickly became not only a critical member of the team but also a wonderful friend and someone close to my heart. He is 28 years old, working as a driver when he can find clients and searching for other jobs when he can't. He has been dreaming of going to University ever since he graduated high school, but hasn't been able to save the money required. 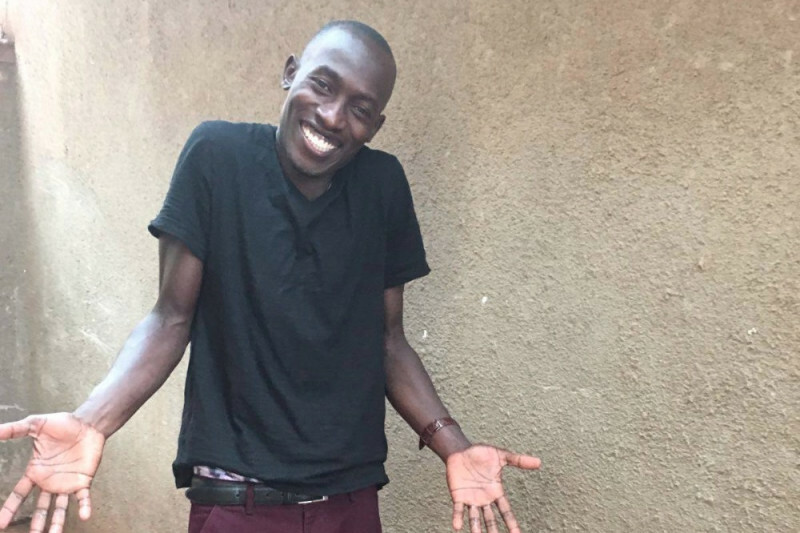 He lives in a small room in an area called Bugolobi in Kampala, has two younger brothers, and lives close to his mom who has raised all three of them alone. His father still lives out in the village and Noah keeps in touch with him and visits him when he has the time and money to do so. 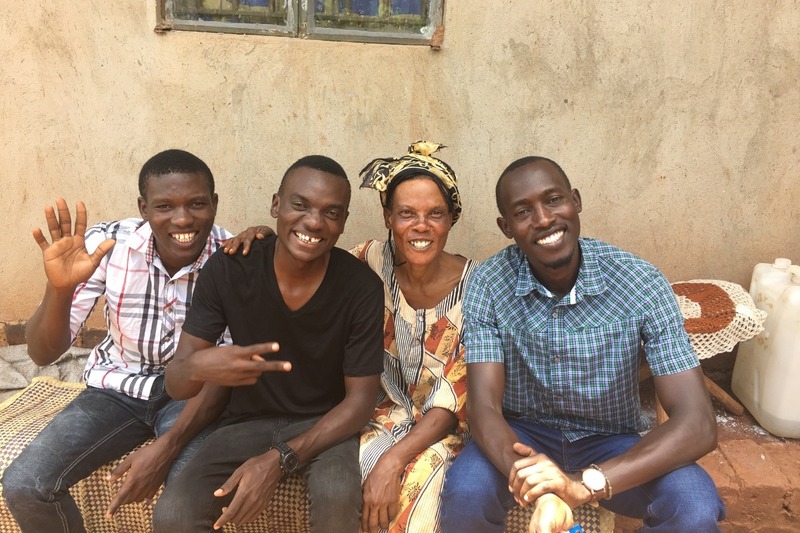 He is incredibly close with his mom, working hard to do everything for her he can through helping pay for his brothers school fees, cleaning her house and clothes, bringing food to her, and spending time with her. She is one of the most beautiful and powerful women I have ever met. In Noah's free time he goes to the mosque to pray, spends time with his mom and brothers, watches films with friends, plays soccer, and helps people out in the community. When I walked around Bugolobi with Noah, he was smiling and waving to everyone, constatnly offering to do favors for people and laughing. He has always dreamt of going to school to one day become a journalist or work to serve the people in some way. He has a history of studies in Records and Archive Management and was advised by many to continue at University with this field, as it will guarantee a secure job in many different areas, and allow him to go on to do whatever else he might want to do. Not even a week into my stay in Kampala I was sure that I wanted to pay for Noah to go to school. In fact, it was never even a question in my mind. Of anyone I had met, he was so deserving of an education. I was completely humbled by how giving people seemed to be when they had so little compared to me, and thought about how far a small amount of money goes when you give it to someone directly who keeps passing it along to others. I knew that I alone had enough money saved to pay for his tuition without having to ask for help from anyone else, so I told him after about a week that we should work to get his application in at the Makerere University in Kampala. He was completely speechless and shocked with graditude and worked quickly to get an application finished. The UVA professor wrote him a recommendation letter and we submitted his application. I knew that I wanted to try to raise enough funds to help him with other life expenses because, although he told me he could make it word, I knew that meant trying to find whatever outside work he could to keep enough money to pay for food and rent. We sat down together and calculated that tuition and fees total at $3,000 for three years. Additionally, we figured that for materials he would need (a computer, books, etc.) and rent and food for three years it would be around $5,000. So, I have set the goal at $8,000, and feel hopeful that with the support of family and friends we can get there. I know this endeavor is different in that I cannot convince you to give to a cause, something that is easy to get behind, but rather to ask you to trust my own judgement and send money directly to a person. But to be able to send money to Noah is not only a way of giving him an education and brighter future, but also a way of passing money on to so many others. He is the type of person who, throughout one day, would send money to his dad in the village, pay for his brothers school fees, get food for his mom, pay for a security guard to get water on a hot day, for elderly women to get tea on a cool evening, to help out a boy volunteering to fix the roads, and to help a friend out when needed. I know that whatever money we can get to Noah will make its way around and through so many others, as giving always means more giving, and what goes around comes around, especially in a place like Uganda. To be able to have a connection to an individual and send money directly to him is so much more effective and powerful than anything through an organization. I am deeply grateful for and humbled by whatever we can raise, and know that Noah and his family are beyond thankful for what has come their way. Guys, he's over half-way through and this is going to be my last push for funds! It's the time when tuition fees are due for next year and so this is my final goal of raising the $1,200 to cover these fees and then THATS IT. I will continue to send him money to help with housing and food, but from you all I just want to hit the $1,200. SO-- if you've checked any of this out, or heard me talk about it, and thought about donating but haven't, now's the time! $10, $20, $30, whatever you can give would be an enormous help. If you have any questions about Noah, what he's trying to do, where exactly the money goes, or why I'm doing this, please reach out! I appreciate everyone who has supported me in this bit-of-a-crazy effort, it means the world!! Hello lovely people! I'm back again to humbly ask you all for donations in another push to get more money to Noah. As many know, I am back in Uganda working on the same research project as last year, and to all those who have donated, I cannot even begin to express how far it's gone here on the ground. At various times, sitting in a crowded taxi, walking the streets, eating lunch, he'll turn to me and just shake his head, whispering in disbelief, "I can't even tell you how my life has turned around, Anne Nelson." Noah is into his second year of school in a challenging major called Records and Archive Management at Makerere University. During the day he is busy finding outside work, studying, and helping out friends and family, and during the evenings is in class. I've gotten to go visit the University with him a couple times since being here-- it rests in the middle of the city, but up on a hill, quiet and secluded from the bustling and dusty streets of Kampala. He showed me his classrooms, introduced me to classmates, and to a couple of professors. It nearly brought tears to my eyes to see him there, in one of the top universities in Africa, and a space he can now call his own. 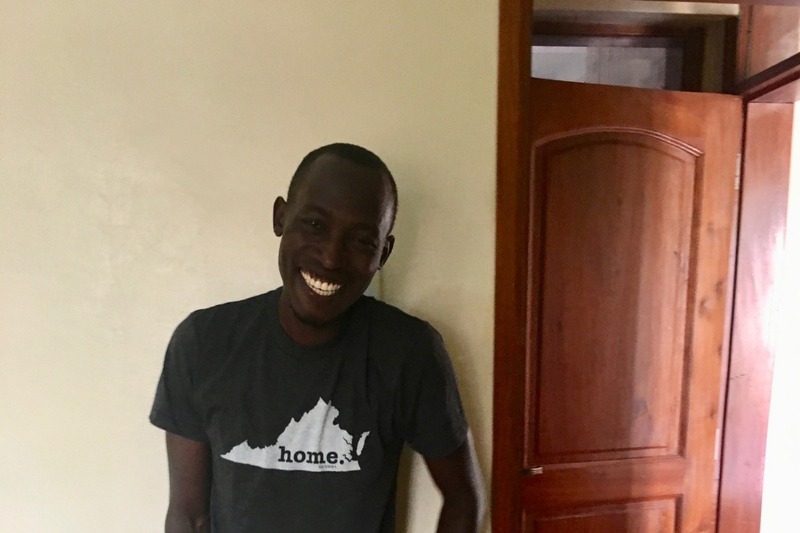 Thanks to many of you all, tuition has been covered for the school year, but other expenses like housing, food, supplies, transport, and assistance for his brothers and mom are still proving to be challenges. I cannot express enough how far a little bit can go, so please consider taking a minute and passing along what you can. Attached are a couple pictures: one of Noah fashioning a Virginia t-shirt and the other of him, his brothers, and his mom during a visit we all took out to the [the most beautiful!] village his mom recently moved to. Hey everyone! It's been over six months since I started this Go Fund Me, and I thought it was about time to give an update and start getting the word out in hopes of some more donations. First, a deep thank you to everyone who has already given! You don't know how much it means to me. Noah is in his second semester of school, and things are going well! I keep in touch with him regularly to catch up and see how things are. We just found out he finished last semester with a 3.6 GPA that he was not completely satisfied with, but everyone else is very proud of! He is living in a room close to campus, taking six courses this semester, and studying a lot. I was able to send enough money his way at the beginning of the school year to pay for tuition through this academic year, along with rent and some money for food and books. And even though Noah has still been trying to find work when he can, we have realized that tuition fees do not cover other class expenses such as mandatory field-trips, outside activities, etc. He has already missed a few trips due to not having funds and didn't want to say anything to me, but another one is coming up so I am trying to jumpstart donations again! Excitingly, though, the UVA professor I worked with is currently in Kampala and has hired Noah to do some transcribing for her in his free time-- something everyone is very excited about. His family is all doing well! His brothers are still in school, and his mom has since moved outside of the city to an area where she has more space to garden. Noah still makes the hour commute by bus to see her as much as his schedule allows. 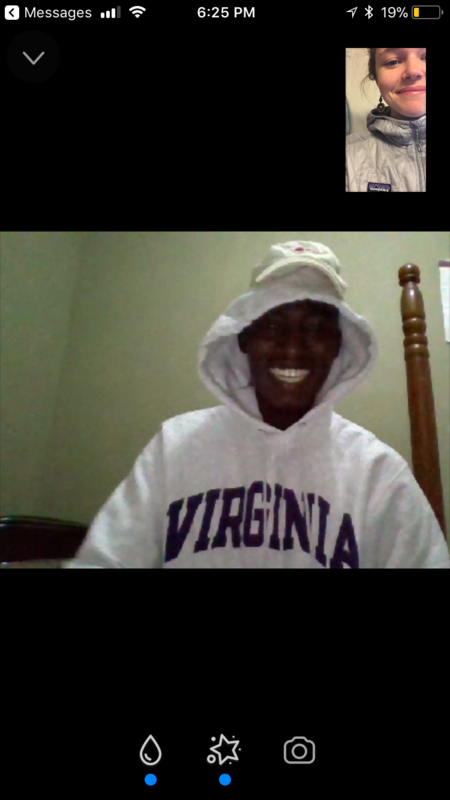 Here is a picture during a video chat we had the other day where he was showing me the Virginia sweatshirt I sent down with my professor to give to him :). He loves it lots and sends his best to everyone here! If you think you know people who might be excited about giving to this effort, please, please pass the word along! I am in the process of coming up with something I can send out to all those who donate as a small way to say thank you, but for now I can only offer the assurance of our boundless love and gratitude.